The 2019 Actor Educators Conference is led by an incredible group of artists and educators. Please read on to find out more about our team. Catherine McNally is an award winning actor, producer, arts educator and acting coach for 32 years. A Queen's University grad, LAMDA alumni, and Fellow of Shakespeare's Globe, Catherine has performed on stages in Canada, US, and England with numerous TV/Film credits. Catherine with her husband, actor/coach Robert Kennedy launched McNally Kennedy Acting to create a safe environment celebrating the authentic voice of the actor while applying respectful teaching practices. Chantal is a writer, director, educator and performer in the GTA with a passion for new works and theatrical opportunities that challenge and inspire. Chantal’s most recent plays include Greyand Perceptions of Love in the Pursuit of Happiness. Recent directing and choreography credits include And Then … She Did! (directing, Goldenberg Productions), Little Shop of Horrors (choreography, BOTG), and Shrek the Musical (choreography, BOTG).Chantal and her husband, Tim Cadeny, are the creative team behind Oakville’s Holiday Pantomime for the last six years, where they have created hilariously twisted up versions of Aladdin, The Wizard of Oz, Beauty and the Beast, and more.As an educator Chantal has had the opportunity to work with performers as young as 8 and as old as 94. She is on the faculty at Sheridan College, works at Centre Stage Theatre School and is a workshop instructor for Shadowpath Theatre Productions. Liz is an actor, theatre director, acting instructor and coach. She has performed extensively in theatres throughout Canada. Highlights include 4:48 Psychosis, A Midsummer Night's Dream, As You Like It, Glengarry Glen Ross, Dancing at Lughnasa and several seasons at the Shaw Festival. Her extensive media credits include: Mary Kills People, Alias Grace, IT, Orphan Black, Slings and Arrows, Murdoch Mysteries, and the long-running cartoon Franklin the Turtle, Directing credits include A Good Death, Holy Mothers, One Flew Over the Cuckoo’s Nest, Remote, Prince of Denmark, and AS IF (her own re-imagining of As You Like It). Liz holds a BFA in Acting from the University of Alberta and and MA in Theatre and Performance from the University of Toronto. She has twice been shortlisted for the Gina Wilkinson Prize, and received a Theatre Ontario Grant to assist and study with Peter Hinton. 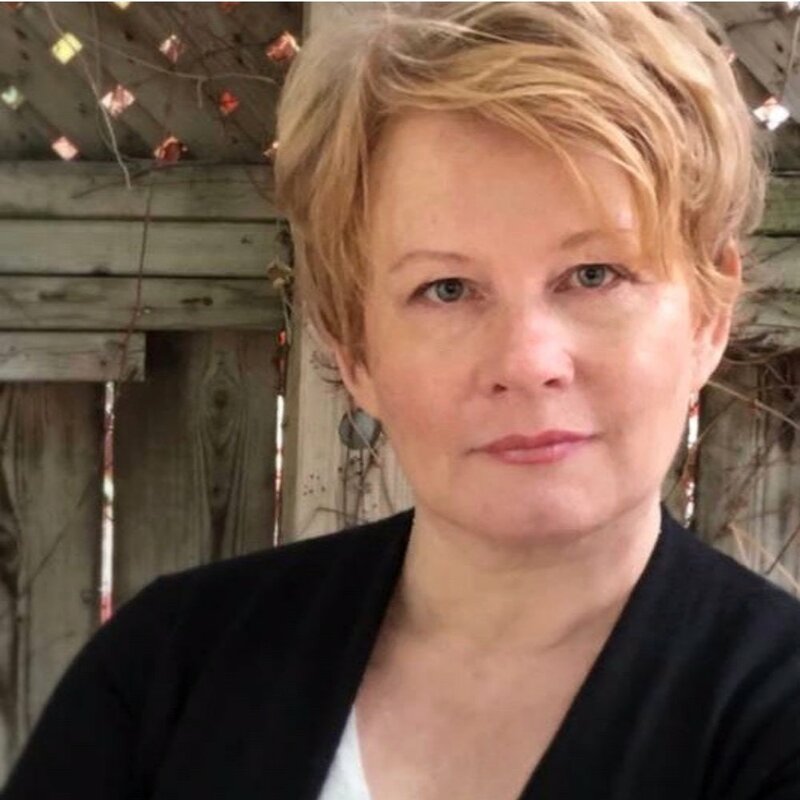 As an Educator she has taught for numerous arts organizations including George Brown College, Randolph College for the Performing Arts; Soulpepper, Ryerson Act II, Shakespearience, and has been a resident artist-educator at Young People's Theatre. She is currently in the process of writing her one woman play M0nstress, and her first short film screenplay. Liz lives in Toronto with her husband, actor Cliff Saunders and her two inspiring daughters, Alberta and Bridget. Annemieke Wade received her undergraduate degree in theatre and drama studies through the joint UTM/Sheridan College program and, later, a graduate degree from Champlain College. She holds a diploma in Acting, an HBA in Theatre & Drama Studies, and an MBA. After university, Ms. Wade toured TYA shows as an actor throughout the US and Canada for seven years. After touring, Ms. Wade was hired as a box office representative at Tarragon Theatre, and quickly found herself promoted to the theatre's Administrator, and then again promoted to Tarragon's Company Manager within the span of two years. After a total of four years with Tarragon, Ms. Wade was selected to take on the role of General Manager at Theatre Direct Canada, and in January of 2016, she was appointed Managing Director of Roseneath Theatre. Currently, Ms. Wade sits on the Board of Directors for the Toronto Alliance for the Performing Arts (TAPA) as the Secretary. Niki is an actor, playwright and Co-Artistic Director of Theatre PANIK. She has acted in theatres across Canada, in Los Angeles, New York and in Germany. While in Los Angeles, Niki lived and studied with the legendary Ms. Uta Hagen. Selected credits include:Unholy (Nightwood/Buddies/Zoomer Ent. ), Within the Glass (Troubadour) Mikveh(HGJT), strangers, babies(Theatre PANIK), PEEP (PANIK/Nuit Blanche), Other People’s Children(Tarragon/PANIK), Gone With The Wind (MTC),little tongues (blood projects/Fringe), The Corpse Bride (PANIK/Young Centre/Ashkenaz), My Name is Rachel Corrie (PANIK), Problem Child (BeMe),House of Many Tongues(Tarragon), Apple (Factory), Reading Hebron(Factory), Comedy of Errors(CanStage), Territories (Passe Muraille/PANIK, Dora nomination), After the Orchard(National Arts Centre), Mating Dance of the Werewolf(MTC/Rubicon), The Last Night of Ballyhoo(MTC), If We Are Women(Persephone), Suburban Motel(Factory), and Kindertransport (PTE/Persephone). Niki teaches acting at York University and Seneca's Acting for Camera and Voice. Sarah Robbins is a PhD student at the Centre for Drama, Theatre and Performance Studies (CDPTS). Her research interests focus on equity in theatre, particularly equitable training practices at Canadian post-secondary theatre arts institutions. She holds a B.A. Hons. and a diploma in Professional Actor Training from the theatre and drama studies program jointly held at the University of Toronto Mississauga and Sheridan College, and an M.A. from CDTPS. In addition to acting as a Core Member of Got Your Back Canada, she is currently working with the Playwrights Guild of Canada and the Equity and Diversity in the Arts Department at the University of Toronto Scarborough on the P.L.E.D.G.E. Project (http://www.pledgeproject.ca/). Her article "A Conversation with Hope McIntyre: FemFest 2017, Filling the Gaps & Adapting to Change" appeared in the May 2018 issue of alt.theatre magazine. Martha Burns is an actor, arts educator and filmmaker. She is one of many founders of Got your Back, artists working together for positive change in our workplaces, training institutions and CAE association. Martha has been an actor in Canada for forty years and has been fortunate to have spent much of her career learning from working with young people. She created programs to welcome youth into theatres at the Vancouver Playhouse, Stratford Festival and with the Dufferin Mall. For the Soulpepper theatre company she developed the youth mentorship, youth leadership and Soulpepper in School programs. Since 2010, Martha has taught first year acting at the National Theatre School. She is the recipient of two Dora Mavor Moore Awards for Trafford Tanzi and The Miracle Worker, two Genie supporting actor awards for the films Long Days Journey Into Night and Love and Savagery and two Gemini awards for the series, Slings and Arrows. She received the 2005 Barbara Hamilton Award for excellence and professionalism in the performing arts and the 2016 Leslie Yeo prize for volunteerism. Martha has directed two short films and a documentary. In 2017 she worked with performers from Nunavut’s Qaggiavuut society to create Kiviuq Returns, a play based on elders’ stories about the Inuit’s most beloved Shaman hero. Neil Silcox has always been a teacher. At 16, few months after he started performing, he began teaching theatre to 5 & 6 year olds at the YMCA/YWCA. Later he would lead and mentor dedicated young artists through youth arts organizations like London’s Original Kids Theatre Company, and the Toronto Youth Theatre. Throughout this time he also worked as an actor, director, producer, and photographer — this work has allowed him to work with incredible theatre companies large and small including The Canadian Stage Company, Common Boots Theatre, the Humber River Shakespeare Company, Binocular Theatre, and more. Neil continues to make art while teaching acting, directing, and theatre-making — he has taught for York University, U of T, Sheridan College, and has just finished his third year as an Instructor at Brock University. Marcia Johnson is an actor, writer and dramaturg from Toronto. She created an introduction to playwriting course at Sheridan College where she taught for 12 years in the Music Theatre program. Recently she taught a storytelling class at George Brown College’s Theatre School. Selected acting credits include The Miracle Worker (Drayton); The New Canadian Curling Club, 1837: The Farmers’ Revolt (Blyth) and The Real McCoy (Factory/GCTC). She has also made brief TV appearances in American Gods (Amazon) and The Swap (Disney) and others. Marcia’s latest play Serving Elizabeth will have its world premiere at Western Canada Theatre in February 2020. Marcia is a core member of Got Your Back. Jennifer Wigmore is a multidisciplinary artist: Actor/Visual Artist/Writer/Educator. She has performed on main stages across the country, including the Citadel, Stratford and the Tarragon Theatre in addition to having a successful film and television career. Recent Acting Credits: Anne with an E, Impulse, Designated Survivor, Killjoys, Sheets; Theatre Center. Her paintings are in private collections across Canada, US and the UK. She completed musical theatre program at Grant MacEwan in Edmonton, and her BFA and Masters at OCAD University. She began teaching acting in 2004 and co-developed the theatre training program at Fanshawe College. She has also taught at Ryerson University, Randolph College, George Brown College, and teaches visual art at OCAD University and Sheridan College. With a keen interest in first year training, she works closely with master teacher Perry Schneiderman, and they are currently collaborating on a book about the Zone of Silence and its contribution to Canadian Theatre pedagogy. Recently she co-wrote the article; Acting Training in Canada: An Appeal for Change for Intermission Magazine and is the process of working on her first play Measure². Other core team members include Shannon McNally, and Rebecca Applebaum.